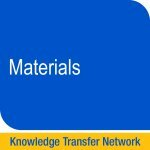 The KTN is an overarching network of networks in Materials, set up to bring together the views of all in business, designers, research and technology organisations, trade associations, the financial market, academia and others in the value network across the materials community. The KTN and its network groups will provide a range of activities and initiatives to enable the exchange of knowledge and the stimulation of business innovation. Bringing all the materials networks together under the one umbrella will ensure we work together, optimise resources, spread best practice and provide a one-stop shop for materials advice and expertise to UK manufacturing and service providers. The forum is also a tool for communication, and allows you to join and influence current debates in the materials sector. We look forward to welcoming you into our membership and to your participation in the debate about the future of this important sector of our economy. Click on the icon above to go to the Materials KTN web portal. To access the majority of the site, you will need to be a member of the portal. Celebrating the first year of the Materials KTN, this event celebrated and showcased the activities of the Materials KTN and where the KTN and its Node's are making a difference in materials. The provisional programme for the event is shown below.